In a previous article, I put together a list of the best premium website builders for small business but this time is a little different. Today, I’m going to take you by the hand and show you which website builders you can start using today for completely free. Yep, that’s right, zip, zilch, nada! You won’t have to hand over your credit card and you can keep your free website for as long as you like. In addition, I’ll also walk you through exactly what you can and can’t expect from these providers on a free plan. Okay, I’m ready, shall we begin? Just before I get into the ins and outs of free website builders, I thought I’d leave you a list of the platforms we’ll be covering today just in case you’re in a hurry. Simply click on any of the links and it’ll take you over to my full review of that particular platform. Good question and the short answer is yes. Yes in the sense that they give you a website, don’t require a payment for it, and let you keep it indefinitely. The important thing to remember is, these providers are also running a business and what’s the goal of any business on the planet? So don’t be fooled into thinking that they’re giving away free websites from the goodness of their hearts. Instead, it’s a way for you to test things out or “try before you buy” and they’re all hoping that one day, you’ll upgrade to one of their premium plans. Don’t worry though, in all of my time reviewing these platforms, I’ve never been pressured to upgrade although I’ve received plenty of emails offering me quite substantial discounts which is never a bad thing! What Can You Expect With A Free Plan? It goes without saying that there aren’t many website builders out there that are offering an all singing, all dancing website at zero cost. With that in mind, you should go into this expecting restrictions and limitations with your site compared to one which you pay for. I’ve created a list below with some of the most common features with free websites. All of the providers we’re covering here today have at least one of these restrictions in place, some have more. This is by no means an attempt to put you off, I just want you going into this with your eyes wide open knowing exactly what to expect, that’s all. Sometimes, you won’t have the option to use your business name and simply end up with your username or even a random string of numbers and letters. Needless to say, it doesn’t look very professional! 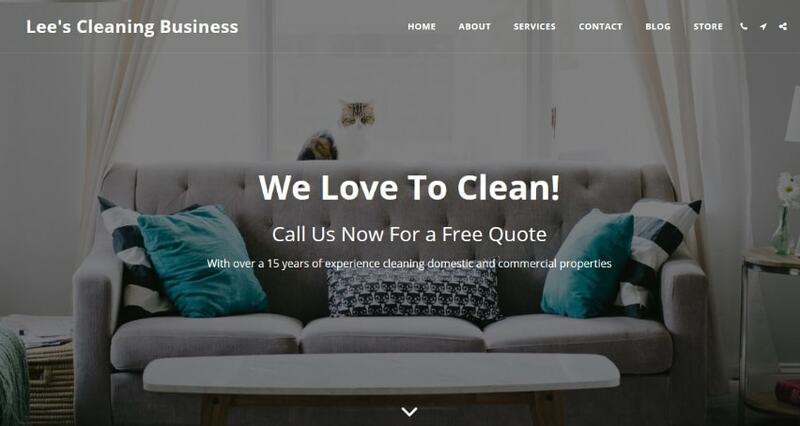 # No business email address: When you have your own domain name, you can create a personalized email address to match such as contact@yourbusiness.com. This option isn’t always free though, even with a premium plan you often end up having to pay an additional fee. Just be aware that you can’t have an email address with a subdomain and instead you may be forced to go with a free gmail account. # Ads on your website: All of the website builders I’ve reviewed here on this site display an advertisement in some shape or form. Sometimes more than one. They tend to range from small and discreet to downright ugly and intrusive. While it may not be the end of the word, bear in mind that this can look a little unprofessional to potential customers and may also serve as a distraction. # Restricted functionality: Some platforms are more flexible than others when it comes to free plans and offer a fair amount of flexibility. 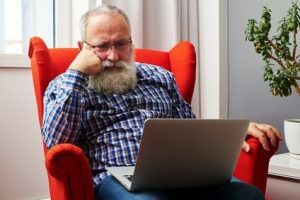 Others aren’t quite so generous and restrict access to eCommerce tools, social media integration, visitor stats, and even the mobile version of your site. # Lack of security: When you visit my site, you may have noticed the green padlock in your address bar letting you know that this site is secure. It’s a big deal these days as it helps visitors and search engines trust your website. Some providers allow you to switch this feature on for free where others only allow it as part of a premium plan. # Limited website space/pages: You’ll often find that you’ll have a much lower Gigabytes and storage allowance on a free plan, say what now? Don’t worry, all that means is you’ll be allowed less “space” on your site to upload your own images, videos, and other files. Some platforms restrict you to a certain number of pages such as 5 for example which actually, may be enough for a small website. The more expensive the plan, the more allowances you’ll receive. # Less chance of showing up in search engines: If you’re creating your site with the intention of people finding you in Google, Bing, Yahoo, and other search engines then I’m afraid you may be disappointed. Some website builders restrict access to search engine optimization features so you won’t be able to correctly title your pages, page URL’s, descriptions, and image alt tags. Without access to this stuff, search engines have a hard time understanding what your site’s about and so they’ll be unsure where to position your site in the search results. Other platforms actively stop your website showing up in the search results altogether unless you upgrade to a premium plan! So, here we are at the main event where we’ll be taking a closer look at each of the website builders on the list from earlier. If you have any questions about them, you can ask away in the comments section at the bottom the page and I’ll get back to you asap. Wix achieved one of the highest ratings here on Website Builder Wars thanks to their ease of use for beginners, large selection of great looking templates, and their flexibility allowing you to create anything from a simple blog to an online store and just about everything in-between! Full access to their library of over 500 industry-specific templates. Create your site by answering a series of questions simple questions with Wix ADI (optional). Mobile “action bar” allowing customers to easily contact you (great for local businesses). Add as many pages as you like including a blog. Customize the mobile version of your website. 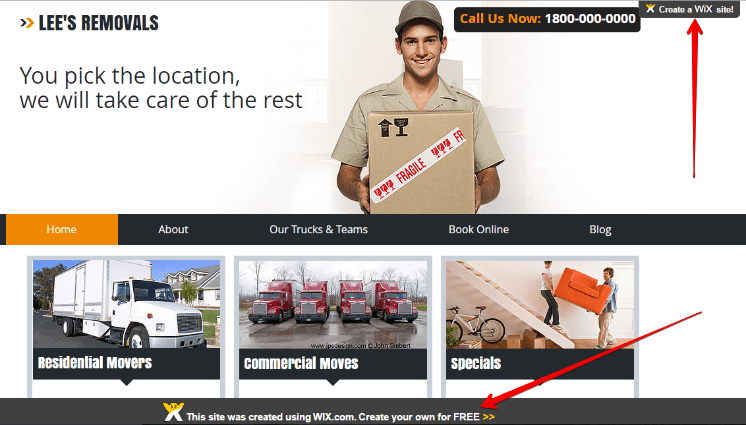 Access the Wix App Market where you can add business & marketing tools to your site. Free, yet basic online booking form. Very visible, in your face ads. Free subdomain looks quite unproffesional. Wix’s cheapest plan: Should you decide to upgrade down the road, Wix offers a $5 per month plan (billed annually) which allows you to purchase your own domain name and connect it to your website. You’ll still have ads displayed with this plan. Visit Wix: Start creating your free website! To be honest, when I first review WebStarts, I really wasn’t expecting much. Boy, I was wrong! It’s as easy to use as some of the industry big-guns such as Wix and Weebly and the more I use it, the more I like it although just like every other platform here, it also has its faults. Easy to use drag ‘n’ drop website editor. Access to your search engine optimization settings. Small app store to add functionality such as forms, social media, and galleries. Sell products through your free site (limited to ten). Add unlimited pages including a blog. Only a small discreet ad running across the bottom of your site. No SSL website security with the free plan. It costs $8 per month, that’s my biggest gripe! If you do decide to upgrade down the road, you have to pay for a year upfront. Reports of websites not working properly on mobile devices. (I’ve repeatedly checked my test site and it works just fine). WebStarts cheapest premium plan: $4.89 per month (billed annually). Visit WebStarts: Start creating your free website! WebStarts Review: Take a closer, more intimate look at WebStarts. Ask any professional website builder reviewer which is the easiest platform for beginners and I’ll bet my hat that Weebly makes it into the top 3 on their list every time! Due to its simplicity, you are fairly limited when it comes to customizing your website but Weebly definitely offers all of the features you’ll need for a functional local business site or online store. 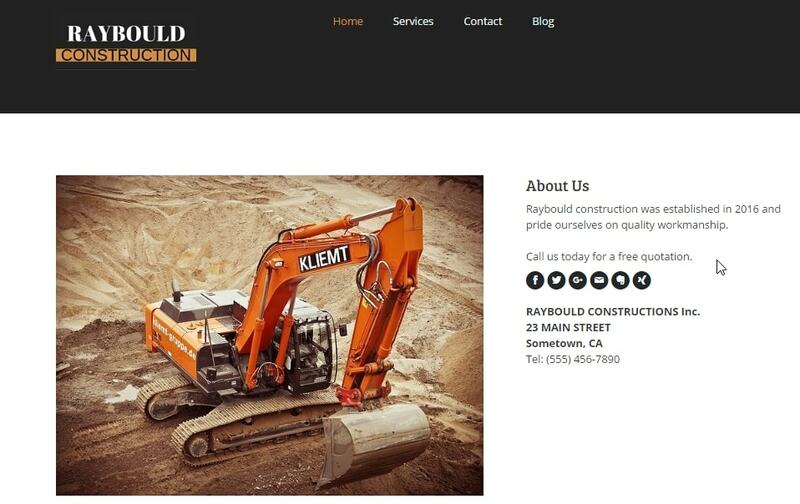 Your site will work on mobile devices perfectly with no extra effort required. Good quality, modern templates that can easily be adapted to suit your business. Create as many pages as you like. App store like Wix to add functionality to your site. Free SSL website security feature. You can’t sell products with a free plan. Ad across the bottom of your site, less noticeable than Wix, more noticeably than WebStarts. 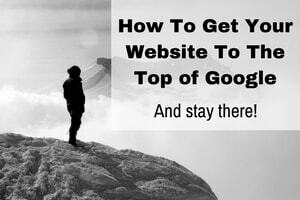 Your free site won’t be listed in search engines such as Google. Weebly’s cheapest plan: $8 per month (when subscribing to an annual plan) and they will throw in a free custom domain name for a year and you can sell up to 10 products. Visit Weebly: Start creating your free website! Weeby review for small business: Take a closer, more intimate look at Weebly. Jimdo is another easy to use website builder that’s well respected around the globe. It has a very flexible free plan which allows you to add a blog, contact form, video, and you can even install third-party integrations. Thanks to Jimdo’s global presence, they have support teams located around the world making it a great option for anyone whose first language isn’t English. Add as many pages or blogs posts as you wish. Ability to password protect 1 part of your site. SSL security so your visitors know they’re safe. No need to worry about how your site will look on smartphones and tablets. Like Wix, you can use Jimdo Dolphin to create your site by answering a series of questions. You have the option to create and manage your website with your mobile device. Get a feel for Jimdo’s eCommerce tools and sell up to 5 products without Jimdo taking a commission. You’ll have access to all of Jimdo’s templates although they’re rather limited feel a little outdated (same problem with a premium plan). Most of the search engine optimization settings are restricted with JimdoFree. Jimdo’s cheapest plan: JimdoPro costs $7.50 per month on a 1-year plan. This will remove the ads, give you a free domain for a year, allow access to a couple more eCommerce tools, and you can sell up to 15 products. Visit Jimdo: Start creating your free website! Jimdo review for small business: Take a closer, more intimate look at Jimdo. When I first reviewed Site123, I quite liked it. Since then, they’ve released some major features such as an online booking form so clients can schedule appointments, restaurant reservations so people can book a table through your site, and they’ve also upgraded their eCommerce tools. I need to get back inside and update my review but I have a feeling I’m going to have to upgrade their rating as it’s starting to sound like a very good choice for a business site on either a free or paid plan. Hundreds of royalty-free stock images to help bring your site to life. Access to the booking form and restaurant reservations on a free plan. Plenty of design tools to help you customize your site without overwhelming. Mobile- friendly out of the box. The Site123 “wizard” walks you through the website setup process. Access to the search engine settings (although they’re quite basic regardless of the plan). Create a single or multipage website. eCommerce tools on available with a premium plan. You’ll have a “floating” ad that constantly sits at the bottom of the screen. No templates to choose from as with other platforms. Instead, you simply choose an industry such as business, restaurant, online store, blog, photography, and a few more. You then customize to make it your own. Site123’s cheapest plan: $9.80 per month (1-year plan, billed upfront) which will remove the ad and give you access to the eCommerce tools. Visit Site123: Start creating your free website! Site123 review: Take a closer, more intimate look at Site123. When I first started this article, I was actually going to include the top 10 free builders but then I decided against it. You see, if I confused you with too many, it could easily lead to paraylis from anaylsis and you’d be no better off than when you first arrived here and so I kept it to 5 of the best (in my humble opinion). My best advice is to pick one, two, or maybe even three of the platforms above, create your free account, and spend a little time with them. After all, that’s the only way you’ll be able to decide which is the best fit for you and your business. I’d love to hear about which website builder you chose and why. You can let me know in the comments section below. I’ll be waiting!